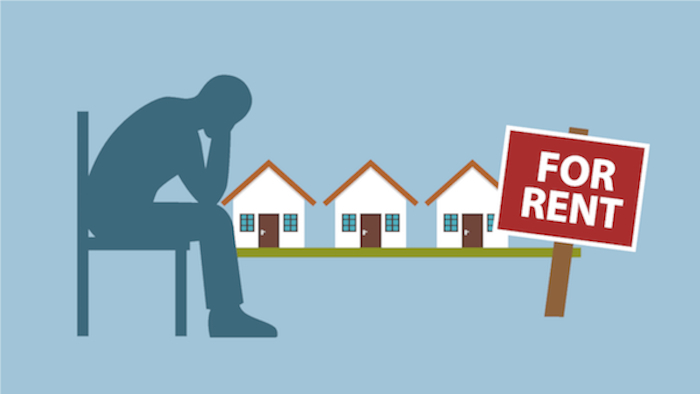 Galway Simon Community has responded to the latest Daft report released earlier this week which stated that the private rental market in Galway cannot sustain the delivery of social housing that is needed, and that rent increases are resulting in people living in fear. Galway rents have now gone up for eleven consecutive quarters. The Daft.ie Q3 Rental Report showed that both Galway City and County have had rent increases of 40 per cent and 41 per cent respectively since the same period in 2015. Average rent in Galway City is now at €1,126, a huge jump of almost €360 since the same period in 2015. The same for Galway County is €856 with a rise of €245. 63 per cent of social housing targets set for Galway City this year were to be distributed through the private rental sector by HEP and RAS schemes. However, the latest reports show that in reality, 91 per cent of social housing delivered to date in the city have been provided through HEP and RAS schemes in the private sector. Karen Golden, CEO of Galway Simon Community, said the over-reliance on the private rental sector, alongside the increasing rents cannot be sustained and will continue to force people into homelessness. "For the last three years, there have been consistent increases in the average rent in both Galway City and County, to the point where renters are now paying 40 per cent more than they were in 2015. The difference is hugely noticeable. These rent increases are simply not viable for individuals and families in our community and they are one of the leading causes of homelessness in Galway. "The Housing Agency has reported that there is a shortage of 2,316 homes in Galway City and Suburbs. However, according to the latest CSO New Dwelling Completion figures, just 92 new dwellings have come available in the Galway City Council Local Authority area between the months of January and September of this year. Demand persists to far outstrip supply, which is resulting in both purchase and rent prices continuing to swell. "Tenants are at a huge disadvantage - the Rent Pressure Zones (RPZ ) that were implemented are clearly failing and the annual increases recorded by Daft continue to illustrate this. Rents in Galway City are building annually at 16 per cent and in the county, 14 per cent, well above the RPZ cap of four per cent. Unfortunately, a lot of the people we support are living in constant anxiety of eviction and rent growth. This is no humane way to live. "We are seeing constant rises in the demand for our services, keeping in line with the significant pressure that people are experiencing in our local community. So far this year, we have worked with 484 unique households, the majority of which (73 per cent ) we helped prevent the families from losing their homes. It is imperative to remember that each statistic represents real people struggling to keep their homes. "There is an over-dependance on the private rental sector in Galway. We urgently need more social housing to be brought on stream in order to stop the flow of people coming into emergency accommodation.